Meet new characters and revisit your favorites from the world of the bestselling Soul Savers Series by Kristie Cook. This is the first of a three-part collection, with Christmas and New Year’s coming November 2013. Kristie I just have a few quick questions.. 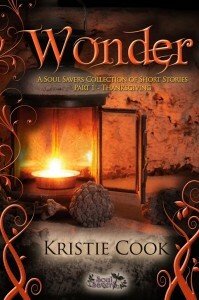 However first of all I just want to let you know that I have loved your Soul Saver Series!